Polish-born and York-based Ola Szmidt offers uniquely soulful dream-music. Threading vocal improvisations through exquisitely constructed musical loops, she deliver a delicious melange of sound. Sit back, relax and be transported to somewhere blissfully strange through her debut album, EP1. Headphones are definitely recommended. Opening track “Autumn”, atmospheric and absorbing, introduces Szmidt’s mesmerising vocals, arranged with artistry that seems simple through subtle complexity. Moving on, “Satellites” provides a more conventional song structure. Szmidt’s emotionally-charged vocals range through stripped-back acoustic guitar, telling of people, places and connections. Darkly foreboding, “Rumianek” echoes with cavernous resonance. Trapping a journey within two and a half minutes of sound-art, this track showcases Szmidt’s capacity to tell a story through minimal sound, placed to perfection. “Wrapped” is introduced through Szmidt’s native Polish. Crystal clear acapella and intricately looped vocalisations support a song of love lost. Drifting on softly breaking waves of sound, this is music to calm the soul. Barely more than an interlude, “Bass One” is intimately authentic, drawing listeners into a space occupied by Szmidt, her instrument and her voice, through the simplest of recordings. Almost eavesdropping, there is an integrity to the track that defies the need for production. Closing the EP with intriguingly psychedelic moments, “Moja” blends Polish lyrics with experimental soundscapes. Introducing woodwind, pipes and delicate percussion, Szmidt gives a tantalising glimpse of her musical depth. Describing her music as shifting between Scandinavian and Eastern Folk traditions and infusing soul, jazz, contemporary classical and ambient practices, Szmidt’s eclectic influences combine to create a distinctive style that is uniquely her own. Rare yet refreshing in a world crowded with sound-alike artists, Szmidt has the courage to create and the capability to carry it off. 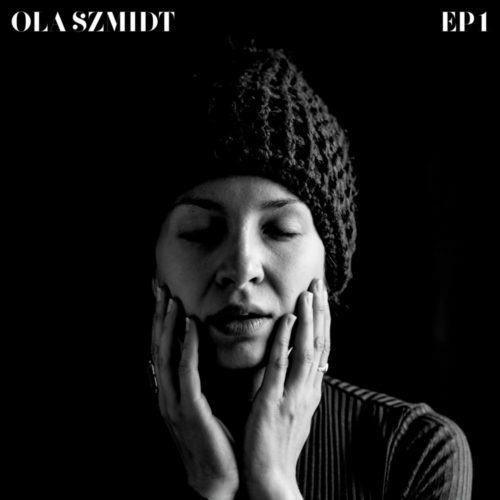 Ola Szmidt produced and self-released EP1 on December 1st 2017. It was compiled and mastered by Kieran Hebden and has come to the attention of BBC Radio 6 listeners through Lauren Laverne, Giles Peterson and Tom Robinson, as well as receiving airplay on BBC Radio 1 via Annie Mac and Phil Taggart. Get your copy here. The official launch of EP1 takes place at The Old Church, Stoke Newington in London on Valentines Day, 14 February 2018. If you haven’t already booked a table at a romantic restaurant, why not treat your significant other – or just yourself – to something a bit special and grab a couple of tickets here.